Location test set for February 9 and 10. 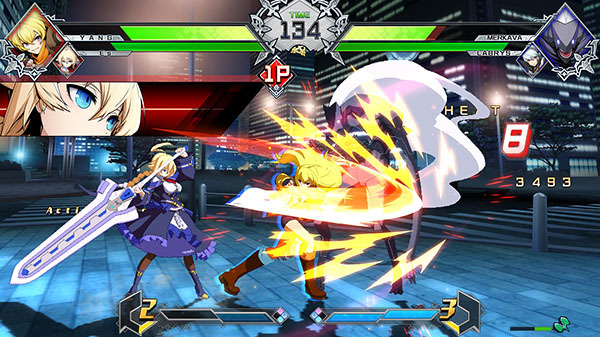 BlazBlue: Cross Tag Battle is coming to arcades this spring in Japan, developer Arc System Works announced. A location test will be held on February 9 and 10 at HEY in Tokyo, Taito Station Phoedra Osu in Aichi, and Taito Station Nippombashi in Osaka. The arcade release will be a new version of the game featuring balance adjustments from the existing console and PC versions. “Long-awaited new character addition(s)” are also planned. The console and PC versions of BlazBlue: Cross Tag Battle will be updated to the same version as the arcade release (version 1.5) after it launches at game centers. BlazBlue: Cross Tag Battle is available now for PlayStation 4, Switch, and PC. Watch the arcade version trailer below.